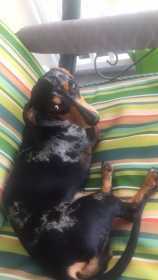 Female miniature dachshund. Dapple pattern. Black, gray, and brown. No collar and not chipped.